Let's get real for a second. What you're doing now is not working. If you think you are going to get rich clicking your life away to earn just a few pennies each day... You are wasting your time! Q. Can I Stop Wasting Time, And Start Earning Money Online? A. Yes... But You Need To Have A Plan! So many people are turning to the internet to earn money these days, and it's sad to say, but most of them will never make a dime. I guess thats probably not what you want to hear but it's true, a very high percentage of people will fail to ever earn money online. Yes... With our system you can take out all the guess work and learn to earn up to $20+/hour. We have tested and proven over the last few years, that there is money to be made using traffic exchanges, and plenty of it too. Traffic exchanges can be leveraged to provide you with a healthy residual income and even more important, an ENDLESS STREAM OF TRAFFIC to promote your favorite programs. But leveraging the power of traffic exchanges is not an over night "Magic Pill". You will need to put in the time and effort to make it work. It took me several years to build my business because I had to figure out what works and what doesn't work all on my own. 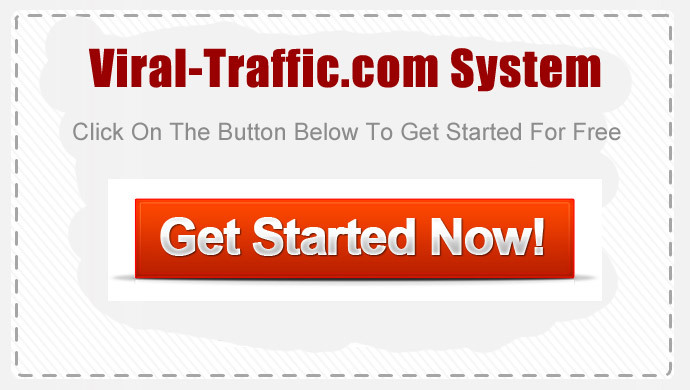 Stop wasting your time surfing traffic exchanges with out a plan! Sure you might make a random sale every once in awhile and thats great, but just imagine if you could duplicate only what works and turn those random sales into daily sales that you can count on each and every day. Clicking away for hours and hours each day is not an effective marketing strategy. Why not try our proven system for 30 days, and start building your business the right way. Even if you are new to traffic exchange marketing and haven't made even one dollar online, you can with the Viral-Traffic System.